Kick-start the day with this breakfast cocktail that’s bursting with nutrients and makes up part of your 5-A-Day. 1. 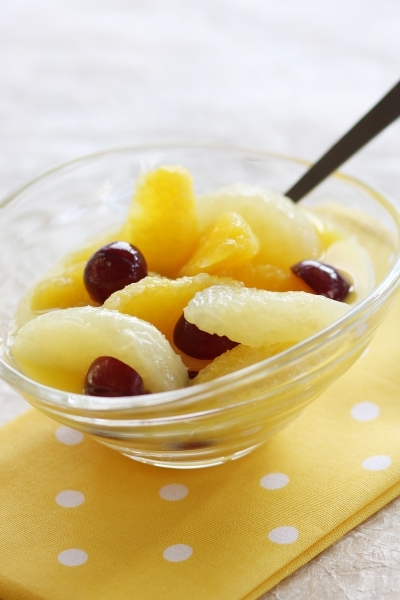 Place the orange segments with the juice in a large bowl, add the drained grapefruit. 2. Halve the grapes and add to the oranges and grapefruit. Delicious served with natural yogurt and a swirl of honey. You can use a variety of healthy canned fruit in this low-calorie recipe, such as apricots, peaches or pears.